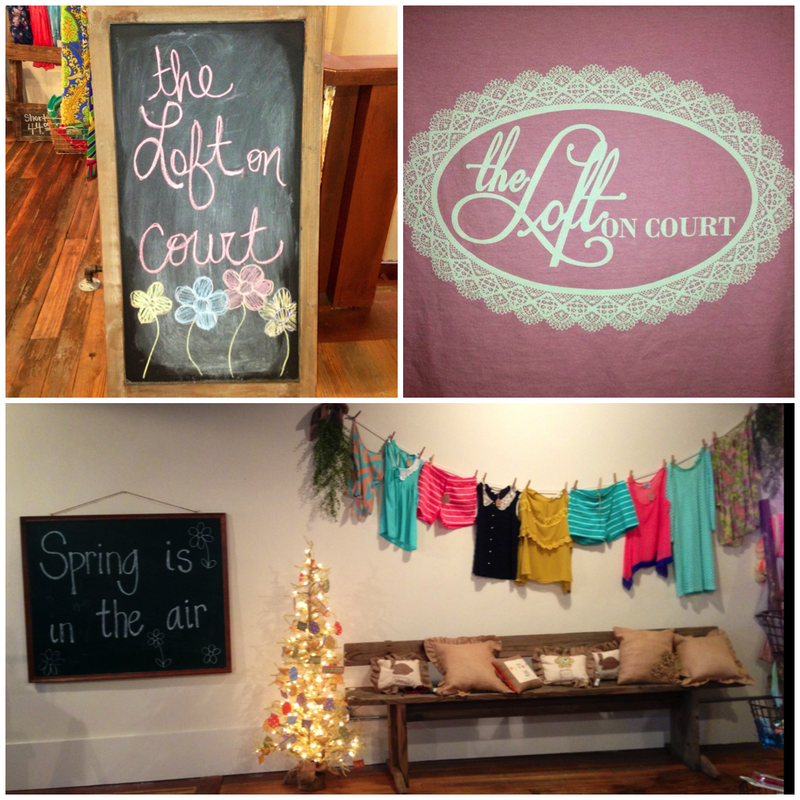 Paper Pearl: Welcome to the Loft on Court! I'm taking you from the virtual world of Fanciful Ink for a moment to my small hometown of Selmer, Tennessee. A few years ago, my mom and grandmother owned a gift shop for ten years. We all enjoyed the creativity and fun it brought but one of the best things that was taken away from that experience was the relationship with Ansley Goodman. She worked at the shop during high school and I had a lot of fun getting to know her better. Ansley is a unique, beautiful individual who had a dream and took a leap to make it happen. She opened up a boutique right in the heart of downtown Selmer with the aesthetic of Anthropologie at affordable prices. She found a loft on the second story of the old buildings in the downtown area that had not been renovated for quite some time. With the original floors, ceilings and a beautiful vision, she created the space for the Loft on Court to reflect an inviting, carefree couture atmosphere. You walk up the stairs and immediately want to browse, buy, and cozy up with cup of tea and just chat with her. LM: You took a big leap going from being a college student to a business owner. How did you plan for that? AG: Starting my own business just out of college was probably one of the scariest decisions I have ever made. From the time I worked for you mother and grandmother in high school, I knew retail was a passion of mine. I enjoyed pleasing customers and offering merchandise that they were thrilled to carry out of the shop. In college, I decided to major in Accounting. I also completed a Master’s in Business Administration along with my undergraduate degree. My original plan was to work for a few years to save enough money to open my own boutique. I knew this was a mistake when I came home crying from an interview for an accounting position – I was afraid I might actually be offered the job! At this point, I decided to follow my heart and take a chance. Two business coaches advised me otherwise. Our country was in an economic recession. I had no assets built up. Was a clothing store even marketable in a small town? Taking risks has always been hard for me, but in this case, the risk has definitely been rewarding. I’m so thankful I took that leap of faith. Everything has gone much better than I could have imagined and I hope it continues to do so! LM:What went into the renovation of the loft? What was the condition of it when you first walked in? AG: When I first saw the potential space for The Loft, it was in absolute disrepair. The upstairs portion of the property had not been occupied since the 1970s. I even fell through the floor one day while I was envisioning the future of the shop. It was important for me to keep as much of the building’s character as possible. Thankfully my landlord and I shared a similar vision, and we left the original wooden floors and ceiling tiles. Cedar support beams were added to the ceiling, and walls were created to designate space for dressing rooms and a bathroom. I had my store counter custom made from reclaimed barn wood and antique corbels. LM:Talk about your aesthetic. Who and what are you inspired by fashion-wise? AG: Stores like Anthropologie and Free People have inspired me greatly. I appreciate how these companies offer a style that is different from mainstream retail. I also wanted to bring a style to my small town that was unlike any other stores around. Aesthetic is a huge part of the shopping experience! People may like your merchandise, but it’s the store design, presentation, music, lighting, and friendliness that will keep them coming. My goal was to offer merchandise similar to the stores that inspired me, but to do so at an affordable cost with an atmosphere that makes shopping enjoyable. LM:What line can you not get enough of? AG: Right now, Mono Reno is one of my favorite lines. Most of the clothing items have elements I love in apparel—eyelet trim, embroidery, or stitching detail in great colors. This line is affordable, but I believe what I love most about it is that if offers styles that transition well among ages. The mothers that come in to shop at The Loft love this line as well as my teenage girls. 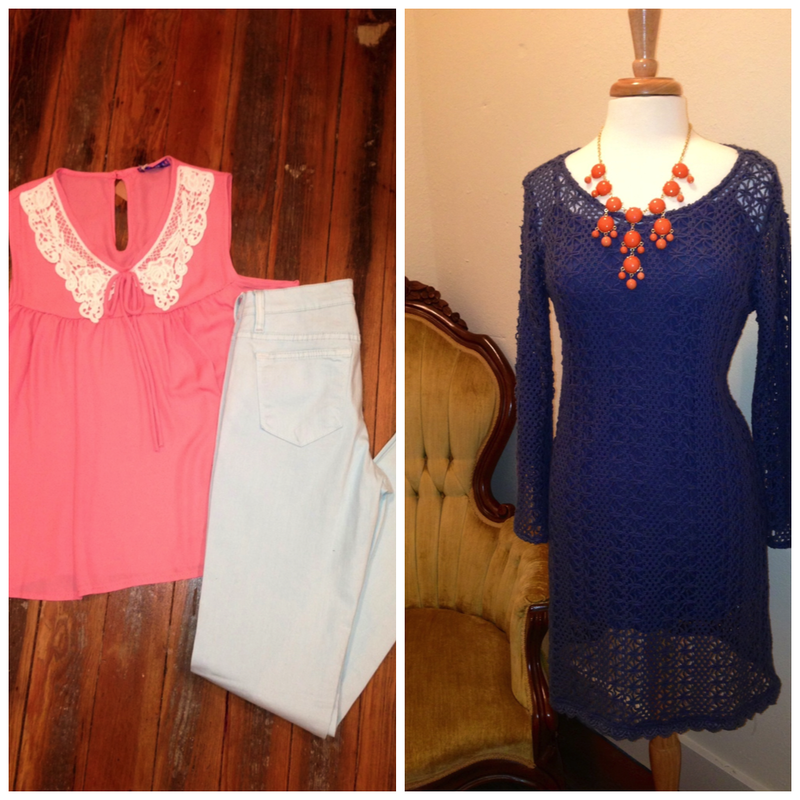 It’s great to carry clothing lines that can be worn by all ages! AG: I would have to say the color mint is my favorite trending fashion. It’s the color of Spring, and I am seeing it everywhere! I love to see it worn with coral, another popular color right now. It’s also fun to see colored denim paired with neutral tops for Spring. LM:How are you going beyond the small town store? Do you have plans to expand your Facebook page into an online store? AG: Technology has definitely changed the face of retail, especially for privately owned businesses. My Facebook page has generated a lot of community interest, and has helped to spread the word about the type of merchandise people now have access to in Selmer, Tennessee. I am currently shipping to many different states strictly from Facebook sales. I have created a private web domain for The Loft on Court, but an online store is not yet in the works. This is one my 2013 goals. Eventually, I hope to make The Loft on Court a franchise. For now, though, I’ll keep focusing on improving the business model of my quaint, small town boutique! Get a website so I can shop at your store online!! !